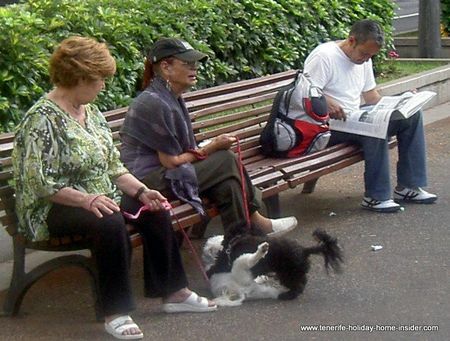 Better Tenerife living on retirement with Park Garcia Sanabria. 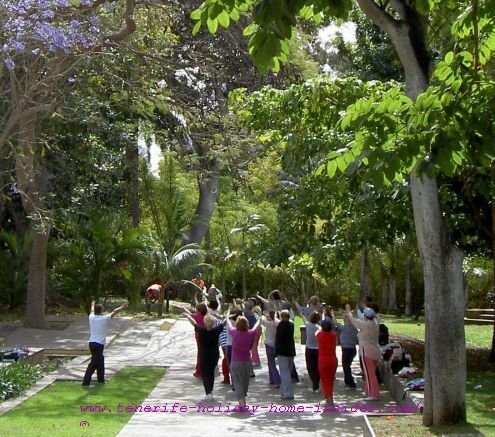 Healthy Tenerife living in style for retirees is unthinkable without its beautiful parks, such as the subtropical Parque Garcia Sanabria with its amazing extention of 67.236 square meters. Large sections of it were under reconstruction when I saw it for the first time during my vacation in 1997. Workers were still busy with it in 2002. It was totally closed until its reopening in early June 2006. Finally, repaired pathways and other additions, such as pavilions brought absolutely stunning results. 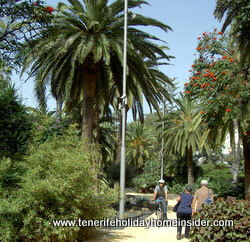 Not to forget is that this biggest of all town parks of the Canary Islands was inaugurated, long ago in 1926. Now, this green lung of town is even used for summer camp outings when cool water by green lawns is so welcoming. My retirement advice for foreigners who want to relocate to the biggest of all Canary Islands is to go to the Park Sanabria often. The entrance is totally free. 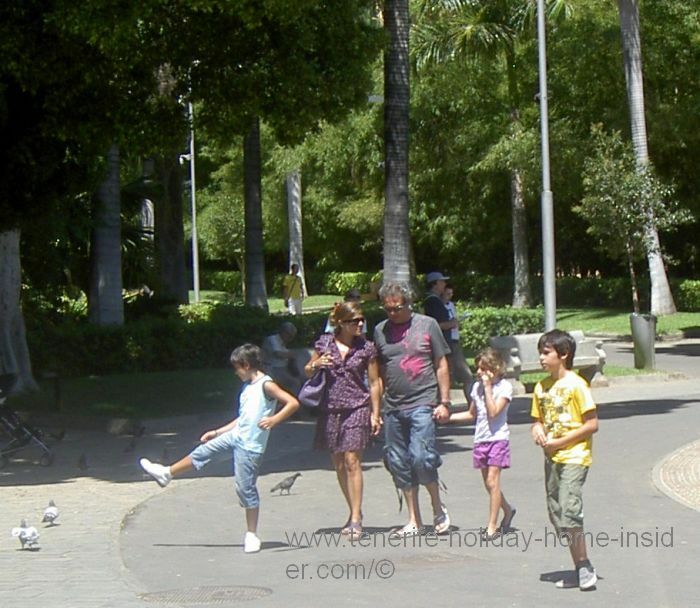 In fact, the park is in the middle of a residential area but close to downtown shopping and by many public bus routes. 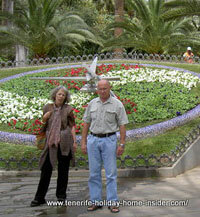 The stunning Tenerife flower clock of Parque Garcia shows myself on the left, way back in 2010. Not long ago,I discovered more magnificent trees and new shrubs by the parks intriguing pathways. Many had been imported by the Mayor Garcia Sanabria before 1926 from different corners of the world. Today, you see people from all walks of life and all age groups enjoying this botanic jewel in all sorts of ways. Also during the Tenerife capital's Spring festival. Cycling through a city park. No wonder that a young Tenerife cyclist finds it convenient to cross its terrain which is like a huge suburb that's dedicated to nature. He is riding on one of many sandy pathways which are nice for jogging and taking the dog for a walk. 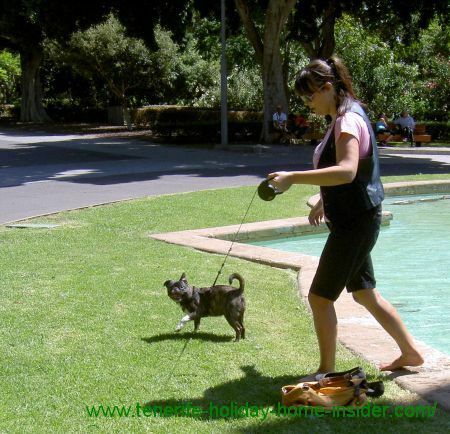 Indeed, the park is just the right size for all kinds of activities of Tenerife living beyond the beaches. Now, the brain child of the long gone Santa Cruz Mayor of the twenties of last century is still humming with birds, bees and flower buds at all times. 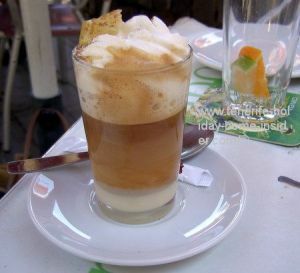 Have a break and savor a snack or a delicious Parque Garcia Sanabria Barraquito with Cream at the park's bistro by the bottom of the park at Avda. Nuñes Mendez. All that is needed near the capital is many a private holiday home accommodation that would be suited for retirees to make long stays during winter for tourists more economical and attractive.Amazing sculptures were seen in this botanical oasis by many foreigners for the first time during a street art exhibition in 1974. Much of this stone art is still there. It was mainly made by local artists. I am inclined to think that a big fish pond and some of the fountains like that of La Fecundidád sculpture are quite new in this green lung of the town. 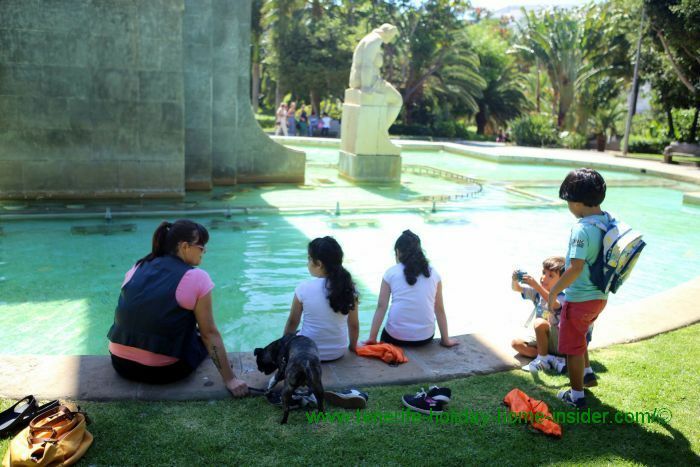 This Santa Cruz Tenerife capital park isn't only for recreation and better health for its agile inhabitants. It's also used for the most needy. Charity marathon runs during the white night events have been very popular there for quite a while. Besides, it also seems to have a little dog park. There, dogs roamed about during one of the Full Moon Plenilunio festivals. Needless to say, events like book fairs are staged there, art exhibitions, fashion shows and more. 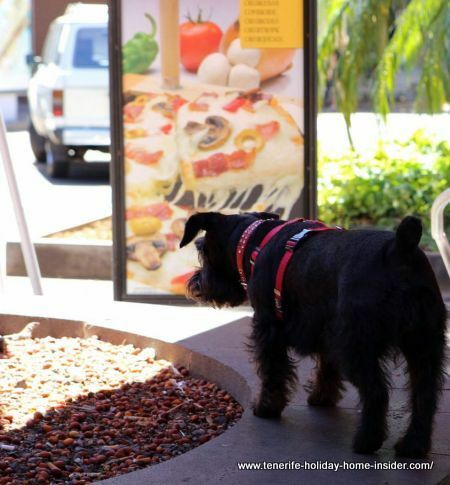 And of course, tourists are just as welcome as all residents of Tenerife. 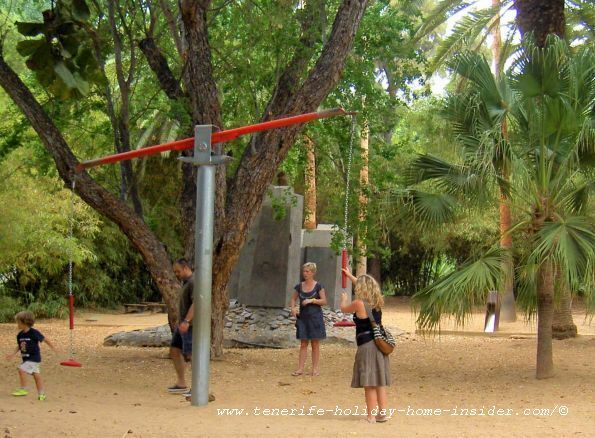 How best reach this top Tenerife city park ? 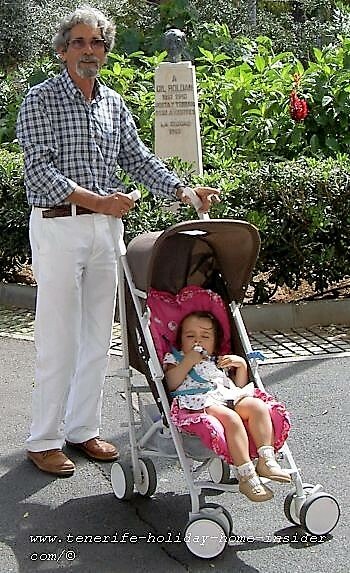 What about the best Tenerife park of all besides the Cañadas? That's the wild ocean the Atlantic by Los Gigantes where you can watch whales and dolphins in their habitat.